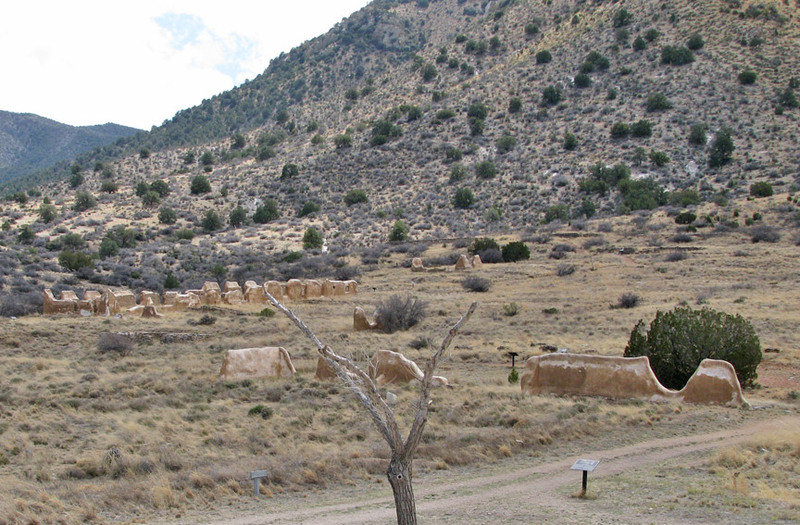 Fort Bowie National Historic Site is a United States National Historic Site located near Apache Pass in southeastern Arizona. 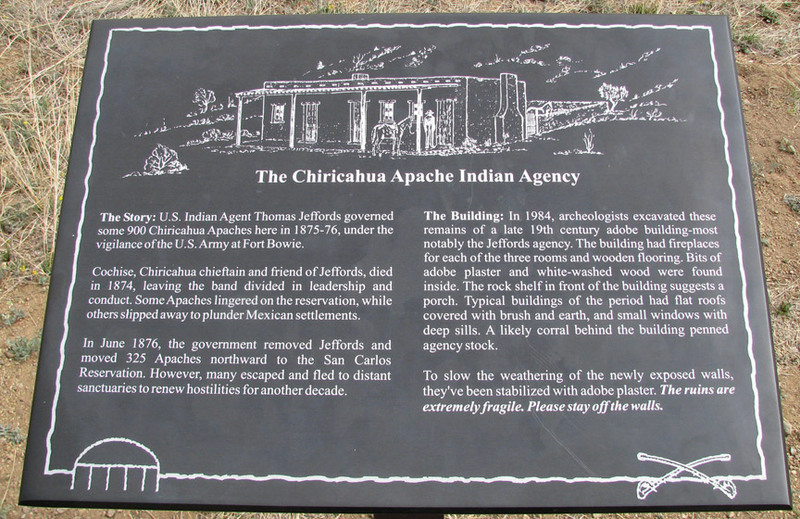 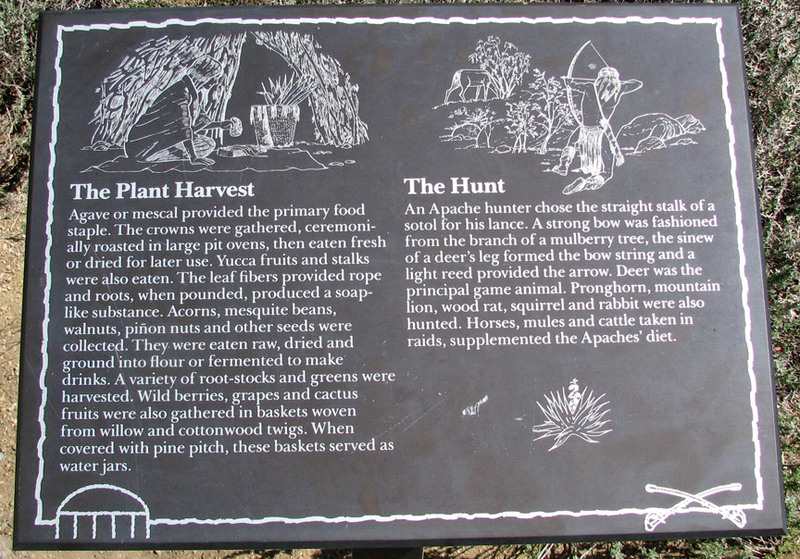 The historic site was established in 1972 to commemorate the bitter conflict between the Chiricahua Apaches and the United States military and to preserve the ruins of Fort Bowie. 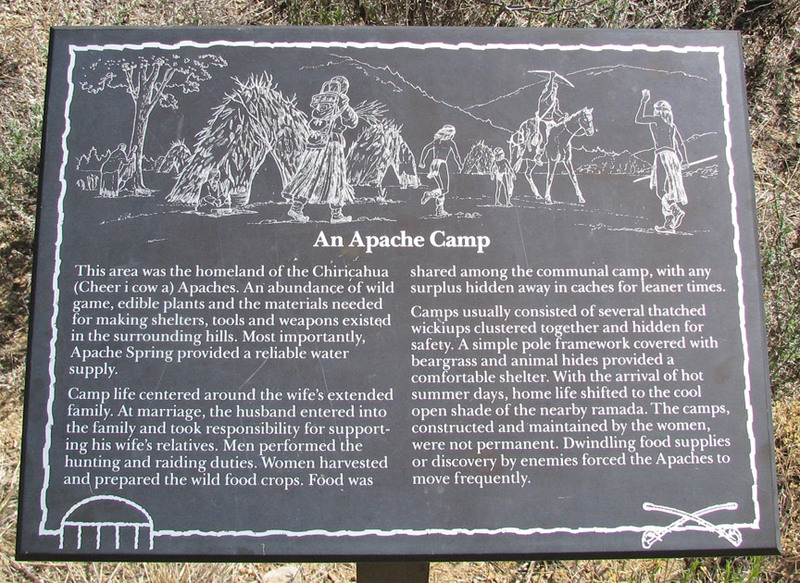 Two engagements between the U.S. Military and the Chiricahua Apaches led to the construction of Fort Bowie in 1862. 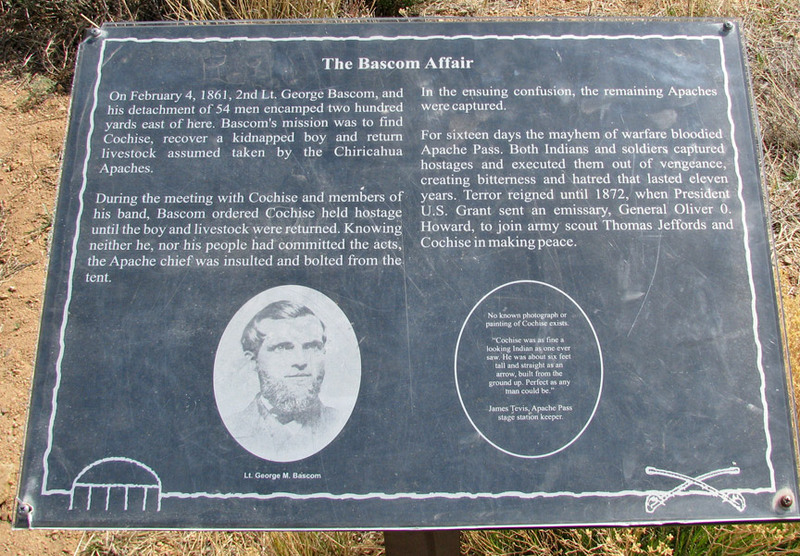 The first engagement, known as the Bascom Affair, took place in January 1861 when a band of Apaches raided the ranch of John Ward. 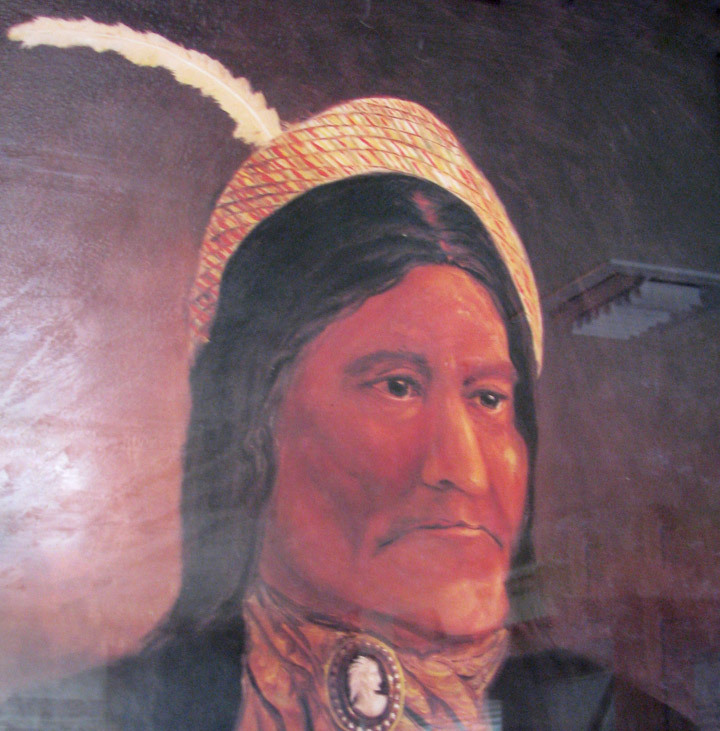 Ward mistakenly believed that Cochise and the Chiricahua Apaches were responsible for the raid and demanded that the military take action against Cochise to recover property stolen during the raid. 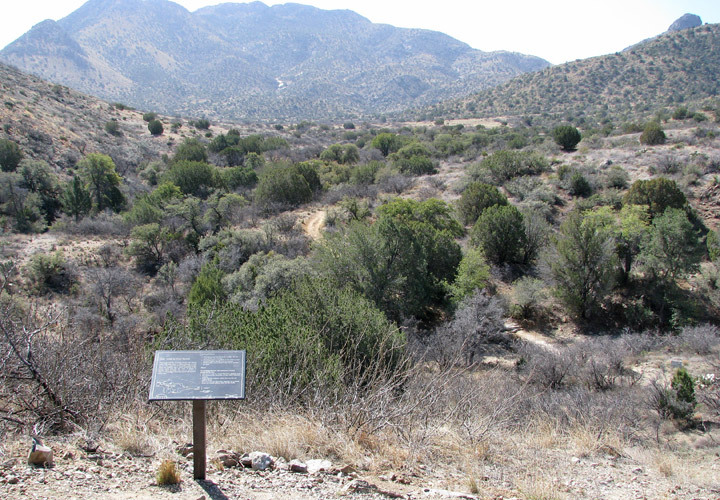 The next month, the army responded to Ward's request by sending Lt. George Bascom and 54 men to Apache Pass to confront Cochise. 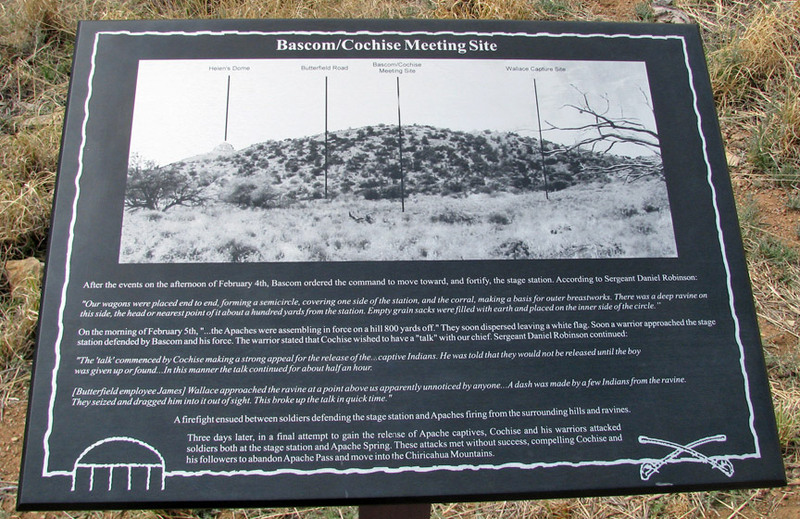 Bascom managed to capture Cochise and threatened to hold him hostage until Ward's property was returned but the Apache leader managed to escape. 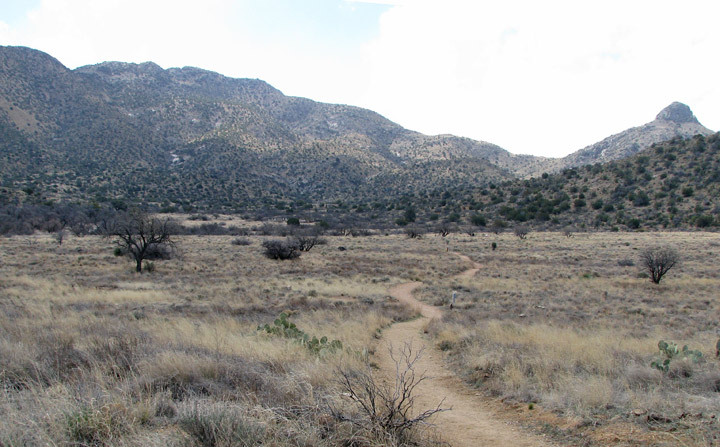 Sporadic fighting between Cochise's warriors and Army troops would continue for years to come. 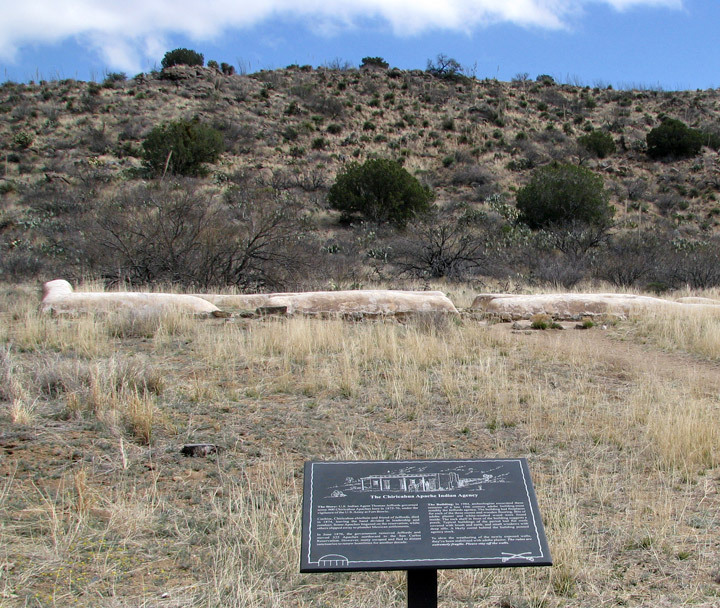 The second major engagement was the Battle of Apache Pass, fought July 15 - July 16, 1862. 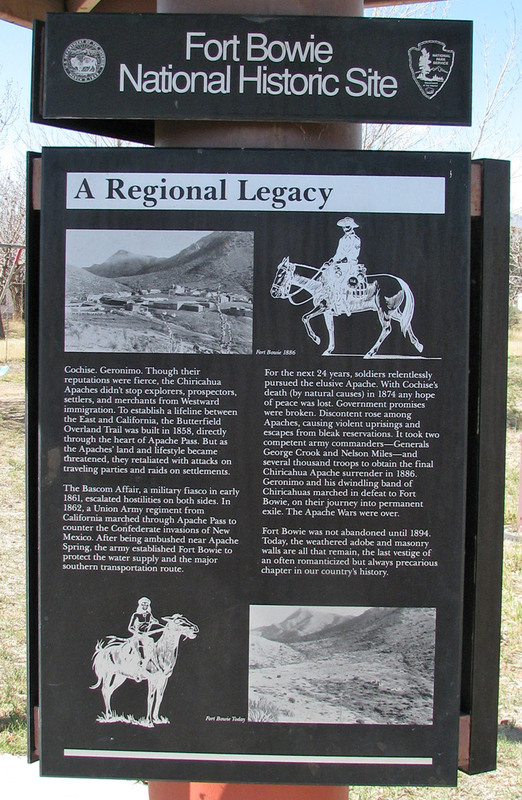 A Union regiment under Brigadier General James Henry Carleton was ambushed by a band of Apaches while en route from California to New Mexico where they were to confront Confederate troops. 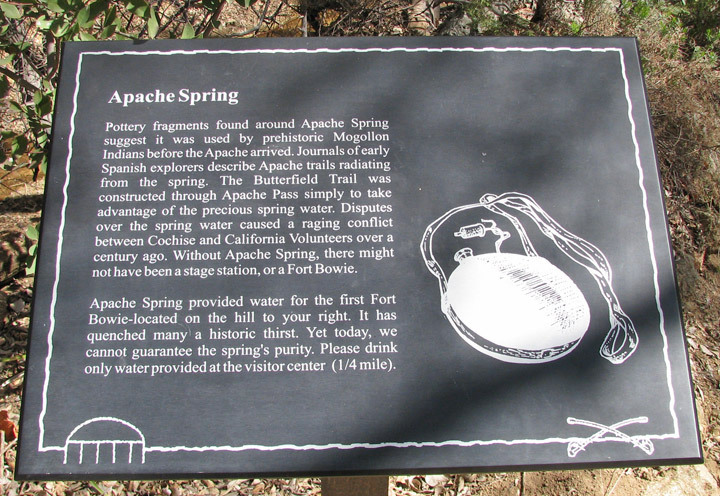 This battle led to the eventual establishment of Fort Bowie in order to protect Apache Pass and an important source of water, Apache Spring. 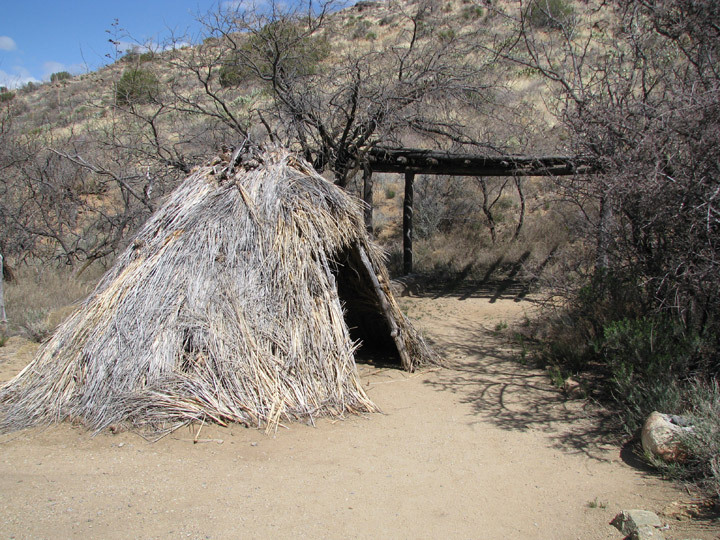 Construction on the first Fort Bowie began in 1862 but this resembled more of a temporary camp than a permanent military fort. 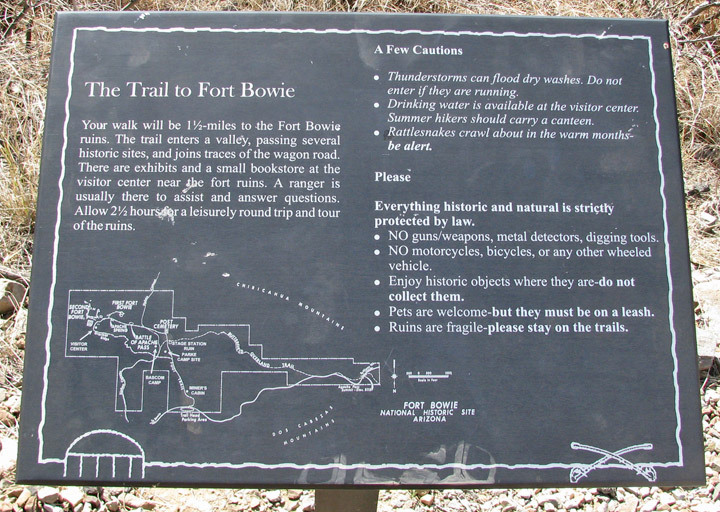 In 1868, a second, more substantial Fort Bowie was built on a plateau about 300 yards to the southeast. 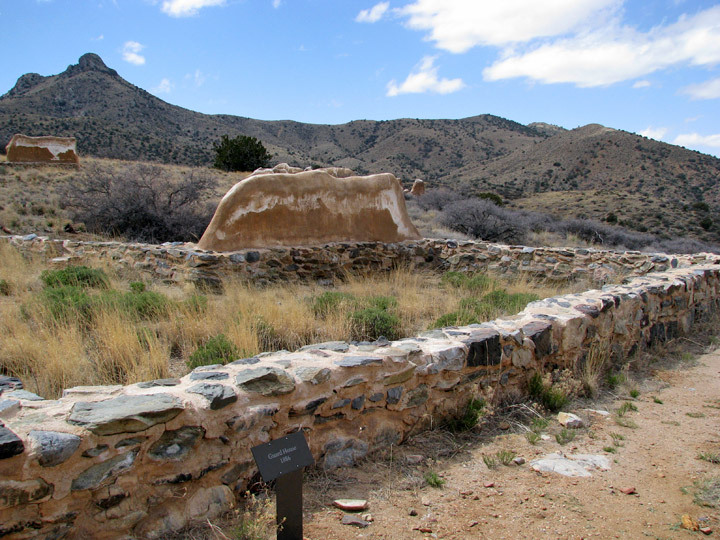 For more than 30 years Fort Bowie and Apache Pass were the focal point of military operations eventually culminating in the surrender of Geronimo in 1886 and the banishment of the Chiricahuas to Florida and Alabama. 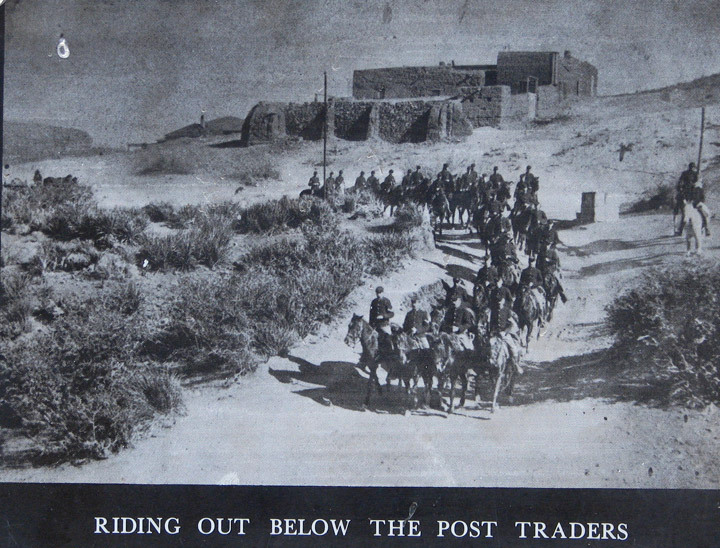 The fort was abandoned in 1894. 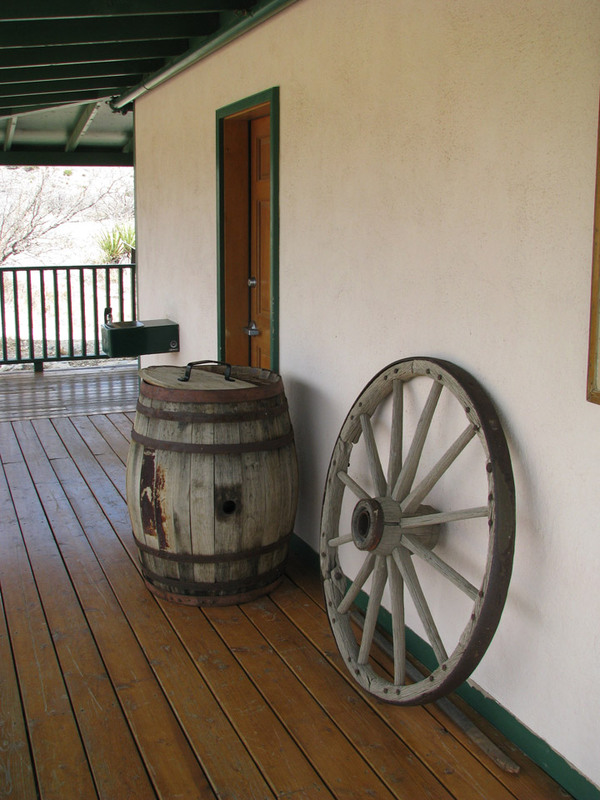 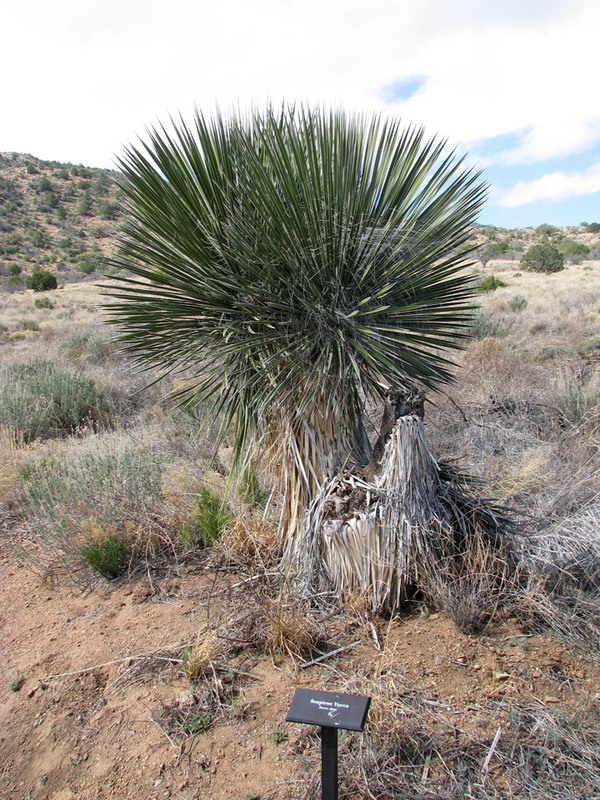 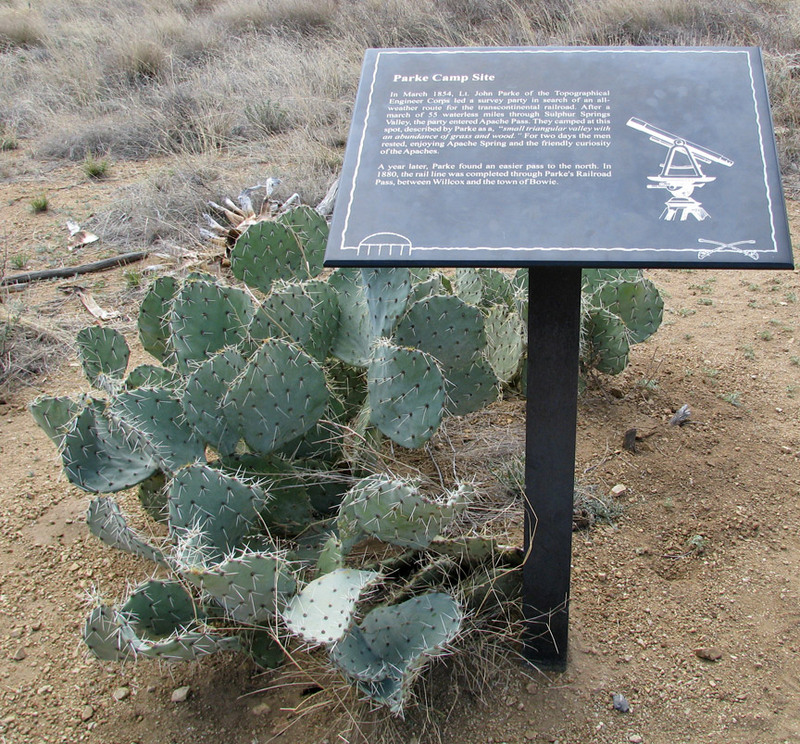 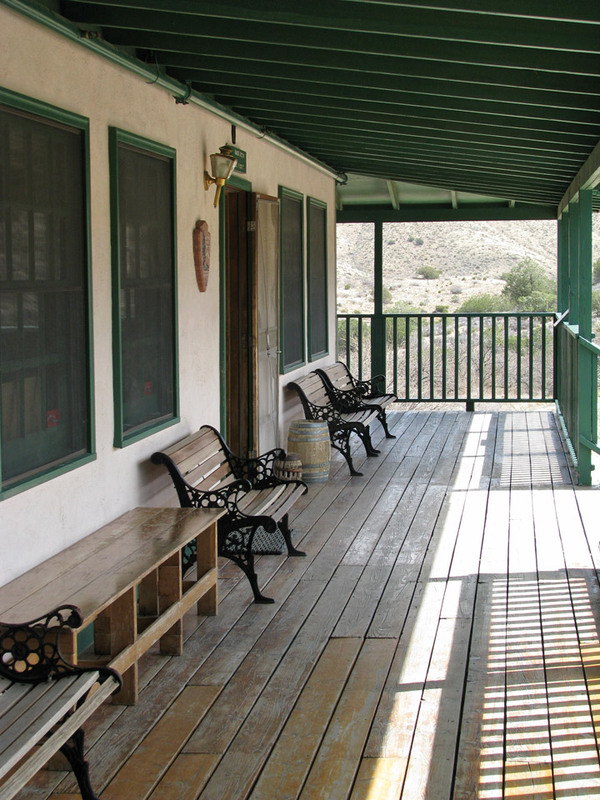 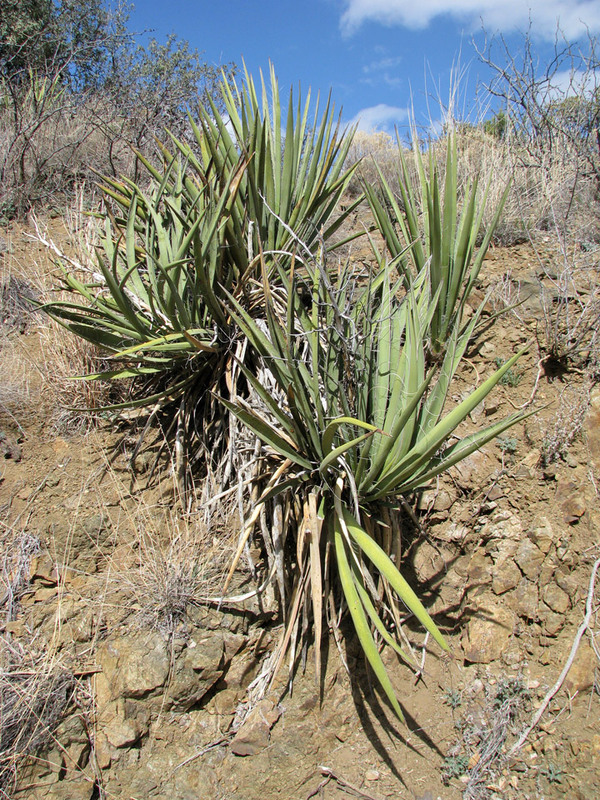 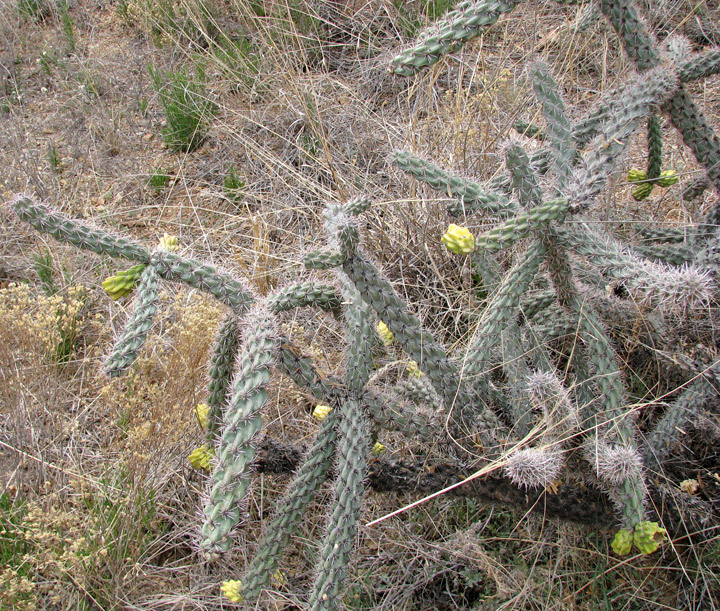 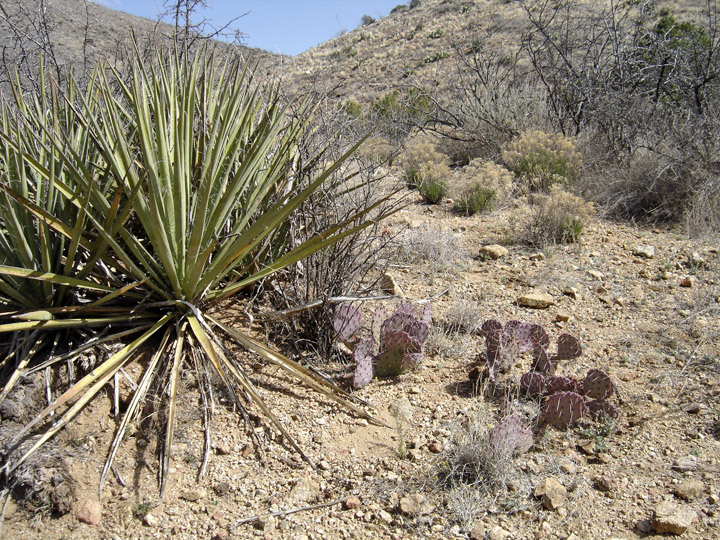 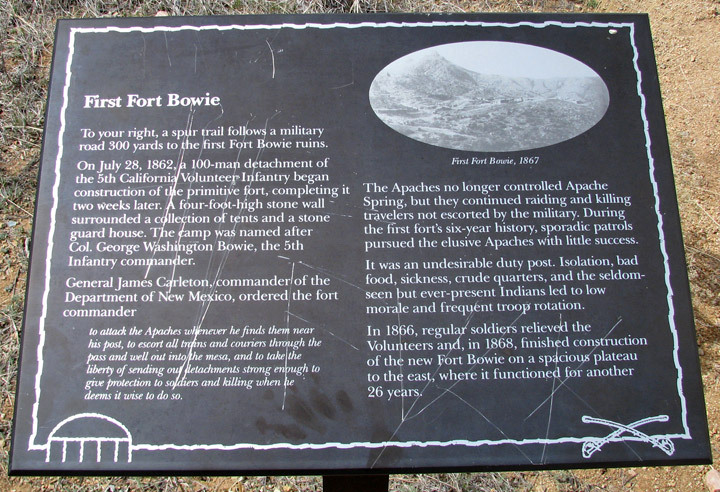 The Fort Bowie and Apache Pass site was declared a National Historic Landmark in 1960. 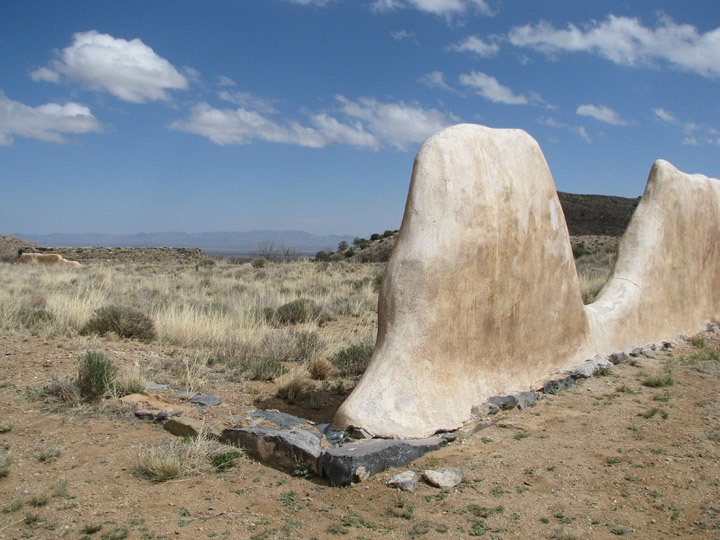 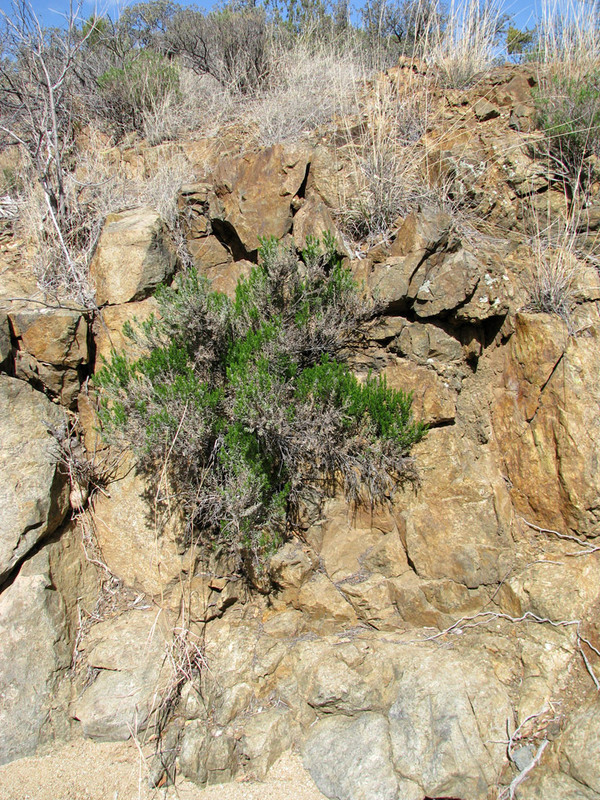 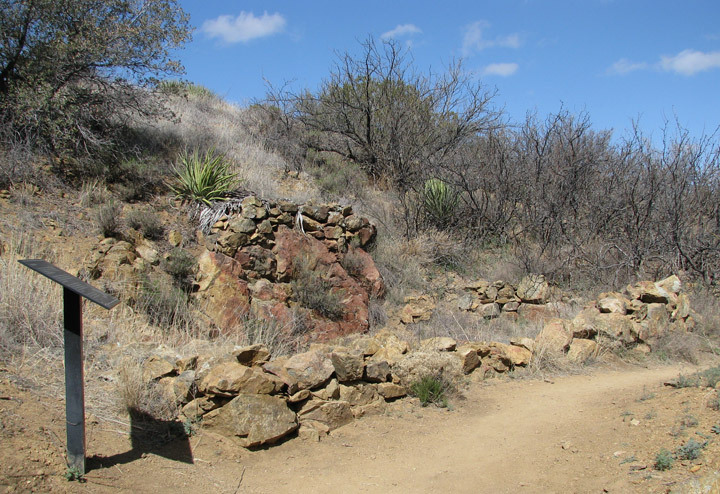 The remains of Fort Bowie are carefully preserved, as are the adobe walls of various post buildings and the ruins of a Butterfield Stage Station. 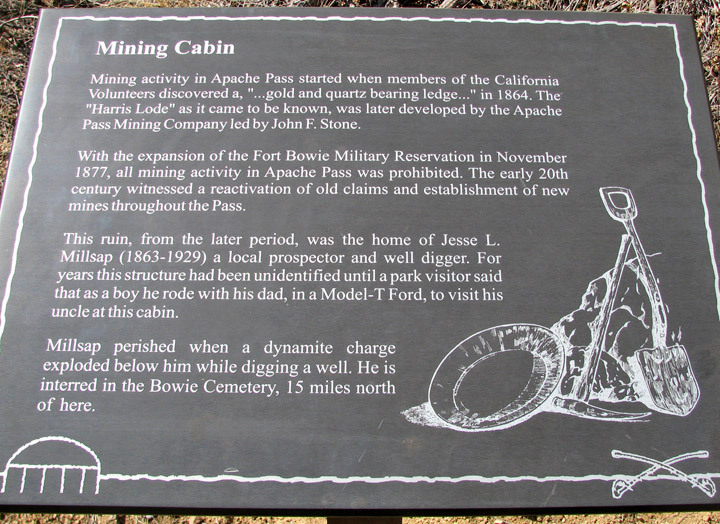 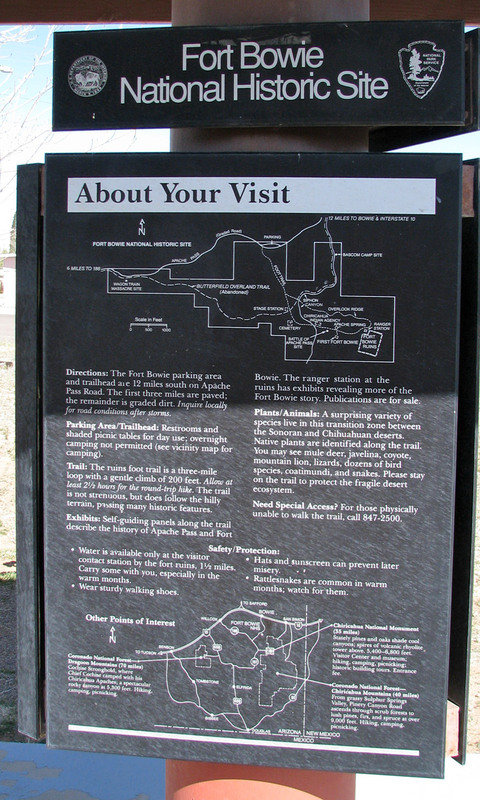 The site is located on the unpaved Apache Pass Road which can be accessed from Interstate 10 near Bowie, Arizona or from Arizona Highway 186 just north of the entrance to Chiricahua National Monument. 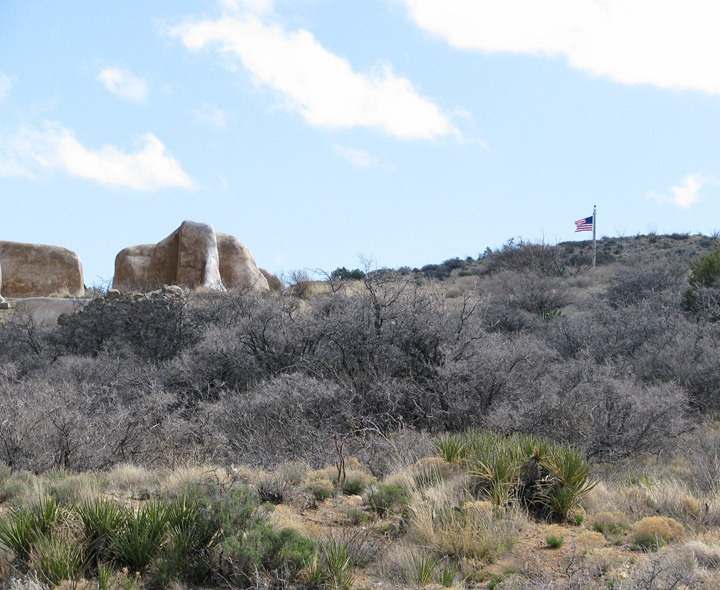 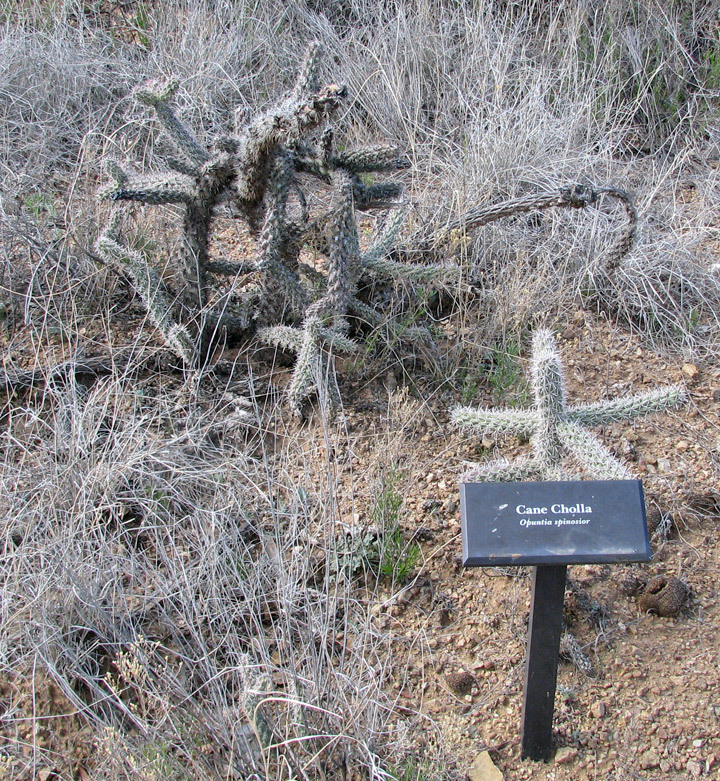 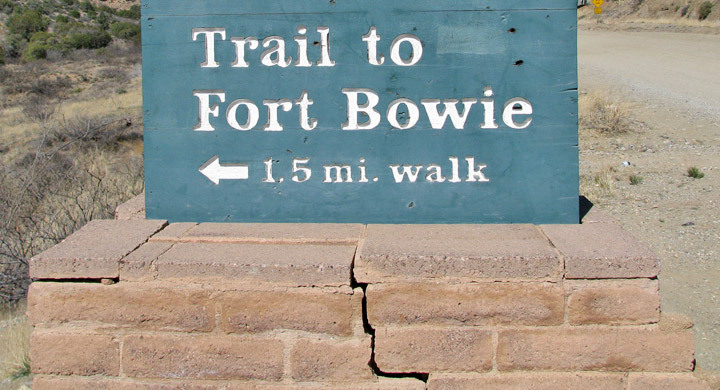 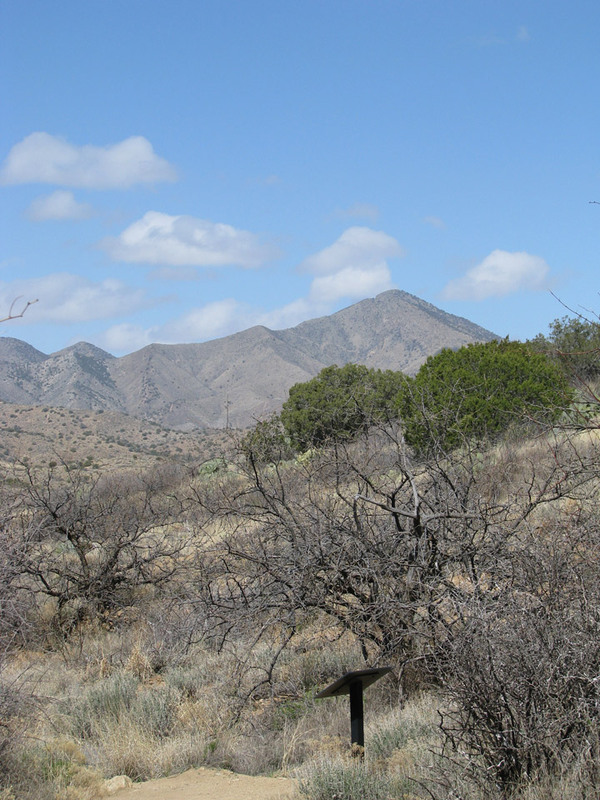 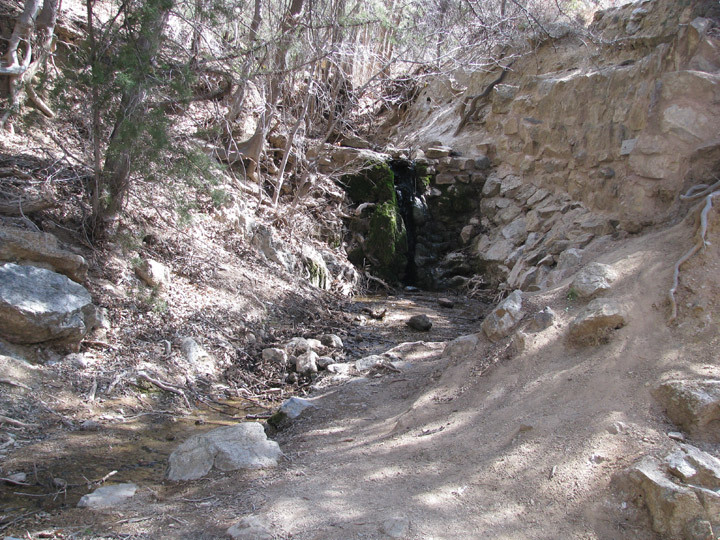 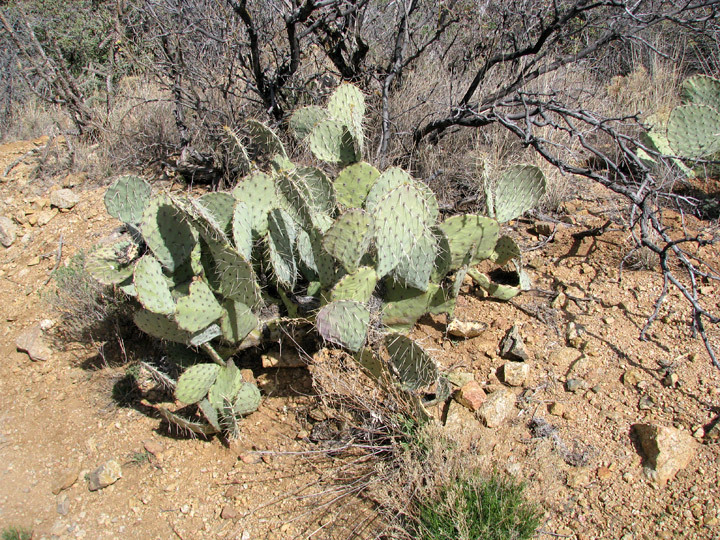 Access to the ruins of Fort Bowie and the visitor center is via a 1.5 mile (2.4 kilometer) foot trail which begins at a parking area along Apache Pass Road.